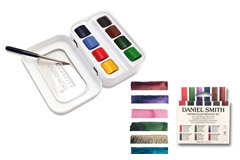 We keep a very good range of watercolours that will suit everyones budget; from one of the best student ranges (Maimeri Venezia) to arguably one of the very best watercolours in the world (Daniel Smith). You will be pleasantly surprised to see that despite the quality of our watercolours, they all offer amazing value for money. 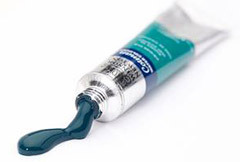 Please take a few minutes to have a look at our price comparisons for watercolours, which will help you choose the best paint for your budget. Compare all Watercolour Prices.